Prednisone is one of the most commonly prescribed steroids in both human and veterinary medicine. It’s used to treat a variety of ailments from joint pain to cancer. If your dog has been prescribed prednisone, there is a long list of things you should be aware of before you give them that first pill. Always work with your veterinarian to ensure your dog is getting Prednisone in the right amounts. Remember that pets are good for your health but you need to help them be good with their health. Can I Give My Dog Prednisone? 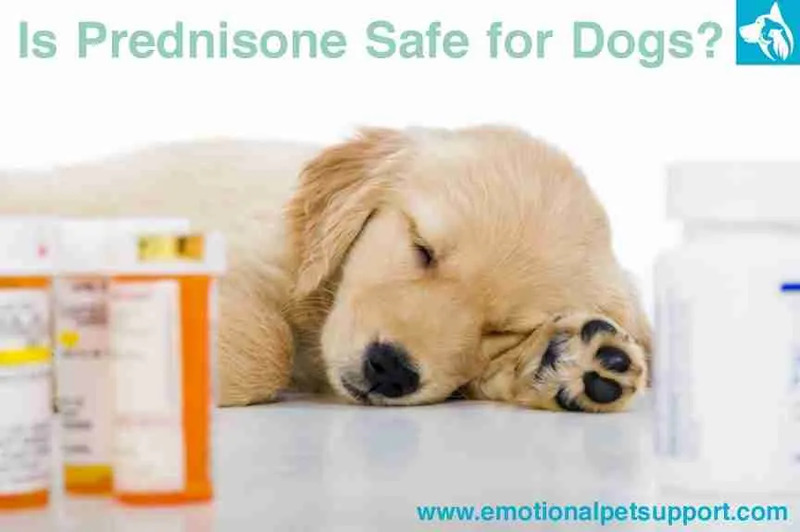 Yes, if your veterinarian has prescribed Prednisone, then it is safe for your dog. It comes in three forms: topical, injectable, and as oral tablets. Oral tablets are the most commonly prescribed form. Regardless of the form, it can only be prescribed by a licensed veterinarian. This is not a drug you’ll find sitting on drugstore shelves and it isn’t one you should give your dog if you have it sitting at home. It may be cheaper to purchase at a pharmacy, but you’ll still need a prescription from your vet to purchase it. Prednisone has a long list of uses, but the most common thing it’s used to treat is Addison’s disease in dogs, a disease in which the adrenal glands don’t produce enough glucocorticoids. Steroids are also great at suppressing the immune system, meaning it’s fantastic for helping control allergic reactions or autoimmune disorders like autoimmune hemolytic anemia (AIHA), where the body attacks the red blood cells and destroys them. It helps stop the overactivity of the immune system so it stops attacking the body’s blood cells. It’s also used to help treat some forms of cancer, various skin diseases, shock following trauma, neurological disorders, arthritis, and high calcium levels in the blood. When Is It Safe to Give My Dog Prednisone? The majority of dogs are fine on Prednisone, but there’s a small minority that can’t handle it. Pregnant pets can spontaneously abort their young if they’re given steroids, and dogs under six months of age shouldn’t have steroids because their immune systems aren’t fully developed. The biggest danger in steroid treatment is stopping the Prednisone cold turkey. 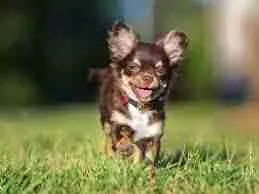 Dogs have to be slowly weaned off of steroids or it can make them develop Addison’s or Cushing’s syndrome. This occurs because the adrenal and thyroid glands didn’t get a chance to start functioning at full capacity before being cut off the steroids. Your vet will give you the right protocol for weaning off of the Prednisone. Prednisone should never be given to dogs with bacterial, viral, or fungal infections because the steroid will weaken their immune system, making it more difficult to fight the infection. If your dog has any underlying health conditions (kidney/liver disease, heart disease, ulcers, diabetes, or thyroid problems), always remind your vet. In some of these cases, Prednisone may not be the best choice. How Much Prednisone Can My Dog Have? You should never try to calculate the right dose for your dog. This should always be left up to the veterinarian because the correct dose can vary so widely between cases. Your dog will typically be started on a low dose of around 0.25 mg/lb per day to see if that will bring relief. If it doesn’t, then it will be increased in slow increments up to 1 mg/lb. Prednisone is sold as 1, 5, 10, and 20 mg tablets, so your vet will prescribe the pill closest to your dog’s dose for easier medicating. What Happens if My Dog Has Too Much Prednisone? 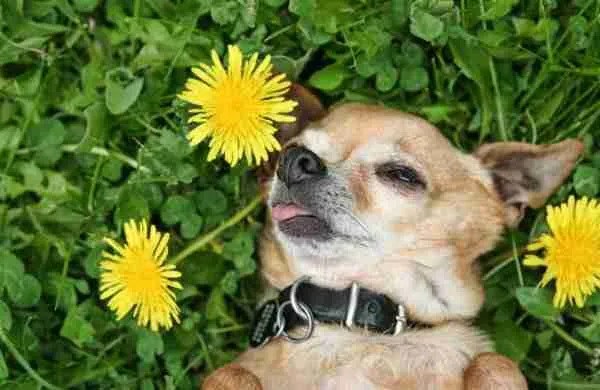 A single overdose is unlikely to harm or kill your dog, but prolonged doses that are much too high can harm them. Symptoms of an overdose include itching, weakness, anxiety, depression, high blood pressure, and seizures. Long-term overdoses will present as weight gain, panting, vomiting, diarrhea, Cushing’s syndrome, and an increase in hunger, thirst, and urination. Some people mistake the increased urination as incontinence, but it’s typically the kidneys not working as efficiently as they should. If you notice any change in their behavior, appetite, or bodily functions, talk to your vet for further help. 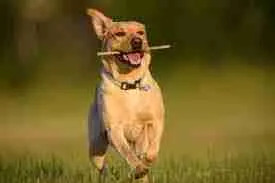 Owners have reported that Prednisone has made a huge difference in their dog’s symptoms. While it’s very safe when used properly, improper usage can harm your dog. Never use steroids as an option to treat minor illnesses, and always follow your vet’s advice during the entire course of steroid treatment. Doing so will ensure your dog’s illness is treated effectively without harming them long-term. If you intend to have your dog serve as your emotional support dog, you need to commit to its overall well-being and give it the medication it needs when it needs it.